The British Motorcycle manufacture, Triumph Motorcycles has announced two new special edition motorcycles, named Bonnville and Speed Triple. While the Bonnville is priced at $7,999 (INR4.36 lakhs) the Speed Triple is priced at $13,399 (INR 7,35 lakhs). 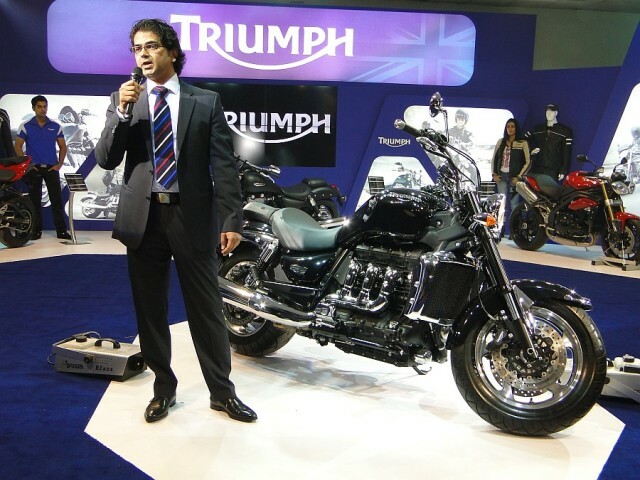 Triumph Motorcycles was in news for the memorandum that they signed with Karnataka government for the manufacturing / assembling location in India. “About 40 acres of land has been identified by the company at Narasapur (Kolar district) on the Bangalore-Chennai highway. This is about 50 km from Honda's upcoming motorcycle plant,” the official said.The brand, which launched itself in India at the Auto Expo in January, is looking to assemble the Bonneville, Street Triple, Speed Triple and Daytona 675 models locally. The bike maker later went on a slumber for Indian market and no plans were announced later on. It is now in news that the bike maker will soon start assembling the bikes in India. Spy pics of Daytona also emerged out on the internet.